In winter, Florida Manatees enjoy the warm balmy water temperatures of both natural springs and warm water outflows from power plants. Here is the second installment of my blogs talking about awesome manatee facts. There are actually three types, or species of manatees and unfortunately all three are in danger of eventually dying out or becoming extinct. The three species are; the Amazonian manatee, the West African manatee, and the West Indian manatee. These have many common traits and also some main differences. Swimming in the water all manatees look just like small submarines. An average adult measures about 10 feet in length and weighs an average of 1,000 pounds. Manatees also have thick rough skin with a wide, blimp-shaped body and two flippers. All of these features taper down to a unique paddle-shaped tail. The eyes of manatees are small and they have a black color. Manatees also have a broad snout with two nostrils, each about the size of a penny. Both the West African and the West Indian manatee have three or four fingernails on each flipper. In contrast, the Amazonian manatee does not have any fingernails. Both West Indian and West African manatees are brown or light gray in color. You can also find algae growing on their backs from the exposure to sunlight. The Amazonian manatee’s appearance is a much darker gray with white or pink patches on its belly. Interestingly, the Amazonian manatee lives in freshwater lakes and rivers in the Amazon River found in South America. The West African manatees are found along the western coast of Africa. These manatees can live in fresh water, salt water, or a combination of the two, which is called brackish water. 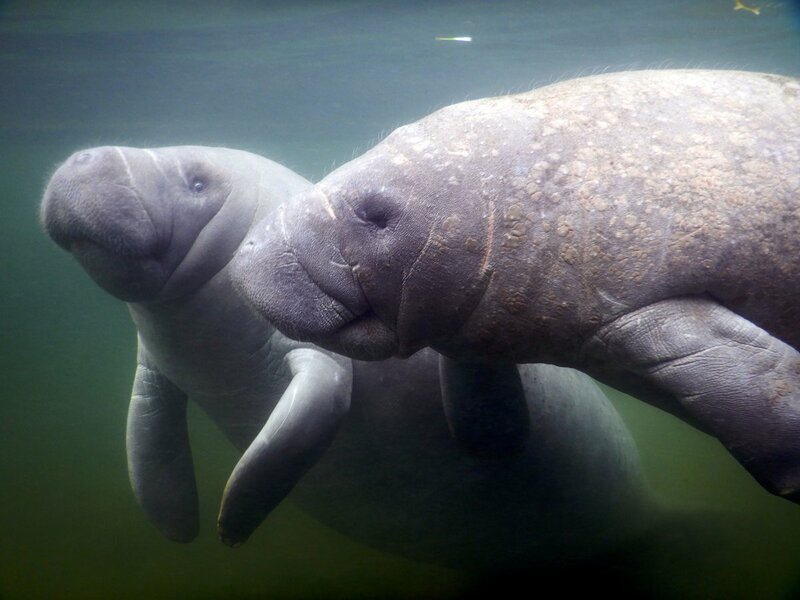 The West Indian manatee (Florida manatee and Antillean manatee) also can live in any type of water. Manatees also have two close relatives in the Sirenia order. The first is the dugong and the second is the now extinct Steller’s sea cow. The dugong is a smooth-skinned, dark gray marine mammal with 10 to 14 teeth. It also has a fluke-shaped tail. The dugong is slimmer and shorter than a manatee, growing only to about half of its size in length. The dugong is found in the waters of the Indio-Pacific region of the world including eastern Africa and northern Australia, Indonesia and the Philippines. The Steller’s sea cow was the largest manatee and easily measured 30 feet in length. It lived in the icy waters of the Bering Strait. This manatee went extinct in 1768 because it was hunted for meals. 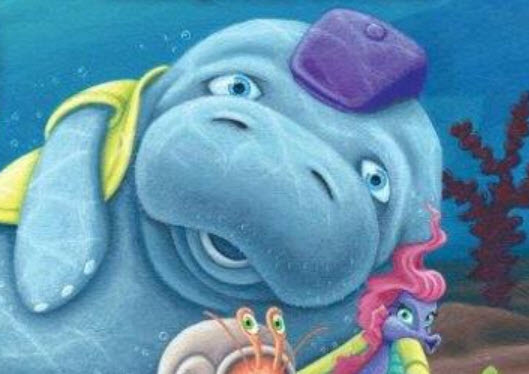 Stay tuned for more of my blogs on fascinating manatee fun facts!